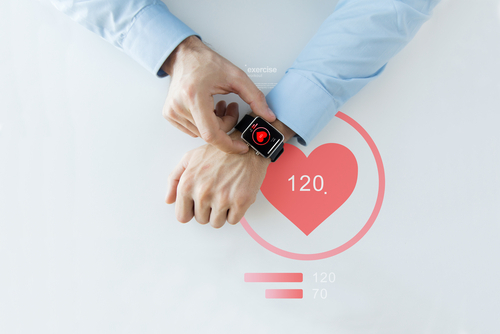 Grand View Research, a U.S. based market research and consulting company, reported that the wearable medical device market is estimated to be worth USD 58.3 billion by 2025. Wearable technology in healthcare is predominantly used for monitoring and diagnostic purposes. These devices are based on ecosystem in which various components are interconnected to each other for real time functioning. Components include hardware and software both and can be categorized into wearable device component, communication interface, and companion device interface. The information is exchanged between wearable device and companion device through the communication interface. The upcoming therapeutic technologies include intelligent asthma management, backache & pain relief devices, and smart contact lenses. For instance, intelligent asthma management by Health Care Originals Inc., is currently in the development phase and this device gives alerts when patient is experiencing asthma situation. The wearable medical device market is segmented based on product, application, site and region. 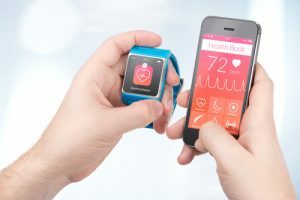 Koninklijke Philips, Sotera Wireless, Zephyr Technology Corporation, Omron Corporation, Everist Health, Polar Electro, Lifewatch AG, Intelesens Ltd., Withings, Basis Science Inc., Fitbit Inc., and Vital Connect are some of the key players in the global wearable medical devices market. The key trend witnessed in this market includes technological advancements, new product development, joint ventures and partnerships to gain the competitive advantage. For instance, in June 2016, Philips and Pegasystems partnered to help and improve management of care service providers and enabling the caregivers to immediately address a patient’s current health status with efficient cloud integration procedures. In February 2015, Sotera Wireless announced the acquisition of Reflectance Medical, Inc. (RMI). RMI had developed CareGuide, a technology that assists in diagnosis of life threatening conditions in patients. CareGuide along with ViSi mobile system is expected to broaden the horizon of monitoring and detection for chronic conditions. Earlier, in October 2014, Philips Electronic and Vital Connect in a joint venture introduced digital biosensors. These biosensors are capable of recording respiratory data for patients suffering from Chronic Obstructive Pulmonary Disease (COPD). The biosensor was provided by Vital Connect HealthPatch. Market players are continuously focusing on technological developments and innovation that is expected to fuel the market growth in the coming years. In addition, entry of new players is likely to intensify the competition in the wearable medical device market. According to Grand View Research, the global wearable medical device market was valued at USD 6.3 billion in 2016 and it is estimated to reach USD 58.3 billion by 2025 growing at a CAGR of 28.1%, over the forecast period. The market was driven by need for continuous monitoring, growing awareness among consumers about fitness and pitfalls of life style related disorders. 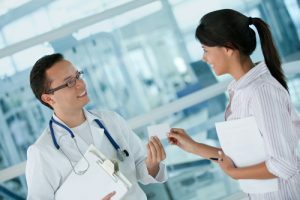 Technologically advanced wearable medicals product and services such as self-servicing kiosk, real-time locating, monitoring and assisting in faster healthcare delivery, thereby helping market growth. Increasing awareness about benefits of medical wearables among people with rising acceptance is anticipated to result in considerable growth in the market. However, growing data breach concerns and reimbursement issues are expected to limit the market growth. 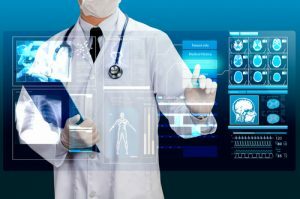 Besides, lack of infrastructure in developing economies and the high cost of implementing IT healthcare software tools is expected to restrain the medical wearables industry growth. The global wearable medical devices market is segmented based on product, application, site, and region. The product segment includes therapeutic and diagnostic tech devices. Diagnostic devices segment is segregated into vital sign monitoring, electrocardiographs, sleep monitoring, and neuro-monitoring devices. Therapeutic devices is segmented into pain management, insulin/glucose monitoring, rehabilitation, and respiratory therapy devices. The diagnostic devices lead the way in the product segment in 2016 with 64.0% share. The diagnostic devices segment is the leading segment in wearable medical devices market. Increasing penetration of smart technology that enables connection to cellular phones assisted in boosting diagnostic devices’ demand. These smart wearable devices track routine activities such as step counts, calories, and sleep pattern as well as exercise such as swimming, running, and cycling. Easy operating and attractive designs helped these devices in gaining popularity. The diagnostic devices market was valued at USD 4.0 billion in 2016, and it is expected to grow at a CAGR of 27.5% from 2017 to 2025 to reach an estimated value of USD 35.7 billion by 2025. 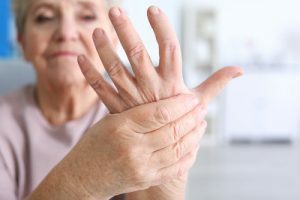 Therapeutic devices include pain management devices, insulin monitoring devices, rehabilitation devices, and respiratory devices. Rising R&D activities resulted in greater number of scientifically approved devices. These scientifically approved devices are further eligible for reimbursement. The therapeutic devices were valued at USD 2.3 billion in 2016 and is expected to grow at a CAGR of 29.0% from 2017 to 2025 to reach an estimated value of USD 22.7 billion by 2025. Based on application, the global wearable medical devices market is segmented into sports and fitness, remote patient monitoring and home healthcare. The sports and fitness market was valued at USD 1.8 billion in 2016 and is expected to grow at a CAGR of 28.6% during the forecast period, to reach an expected value of USD 17.6 billion by 2025. Wristbands or cell phones are used that track all activities such as steps walked, calories burned, calorie intake, and miles a person ran, among others. By compiling all information together, vital information such as Body Mass Index (BMI) is obtained and studied to provide a good health plan to individuals. The remote patient monitoring market was valued at USD 894.4 million in 2016 and is expected to grow at a CAGR of 30.8% during the forecast period, to reach an expected value of USD 9.9 billion in 2025. Globally, rising geriatric population base and incidences of chronic conditions are expected to be high impact rendering drivers for the growth of remote patient monitoring devices market over the forecast period. Based on site, the global wearable medical devices market is segmented into handheld, headband, strap/clip/bracelet, shoe sensors, and others devices. Strap/clip/bracelet or wrist worn devices are expected to hold over 50.0% of the total market share. Products such as smart watches allow monitoring of multiple parameters such as pulse rate, respiratory rate, and physical activity. Smart watches and other key products coupled with Bluetooth and cloud connectivity are considered to propel growth of the wrist worn segment over the forecast period. The straps, clip, bracelets and watches market was valued at USD 3.1 billion in 2016 and is expected to grow at a CAGR of 28.8% during the forecast period, to reach an expected value of USD 30.2 billion by 2025. The regional segmentation includes North America, Europe, Asia Pacific, Latin America and Middle East and Africa. In 2016, North America dominated the overall wearable medical devices market with share of 39.8%. 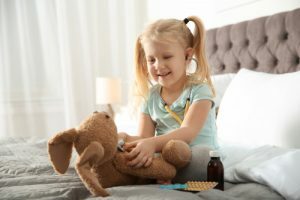 Factors responsible for the growth include increasing application of remote patient monitoring and home care for the purpose of regular, continuous, and long-term monitoring of patients. The other contributing factors include rise in chronic diseases and presence of sophisticated healthcare infrastructure. In North America, U.S. tops the wearable medical devices market with a market size of USD 2.2 billion in 2016, growing at a CAGR of 23.4%, to reach an estimated value of 14.7 billion by 2025. Asia Pacific is expected to witness lucrative growth with the CAGR of 33.1% during the forecast period, owing to increasing government support to improve healthcare infrastructure. Existence of large population suffering from chronic disorders, and high unmet medical needs of the patient are the major factors expected to accelerate the region’s growth over the forecast period. Saiprasad is currently working as a Research Analyst at Grand View Research with experience of over 30 months in healthcare research and consulting along. Saiprasad’s research experience included managing multi-country research in Medical Devices, Pharmaceuticals, Biotechnology, and Healthcare-IT. With a proven track record of executing consulting engagements, conducting niche market research studies and numerous studies using quantitative and qualitative research, he has worked on over 60 client projects with special focus on Hi-Tech and wearable medical devices. Saiprasad is Pharmacy graduate with two research papers published during graduation and holds MBA marketing degree.